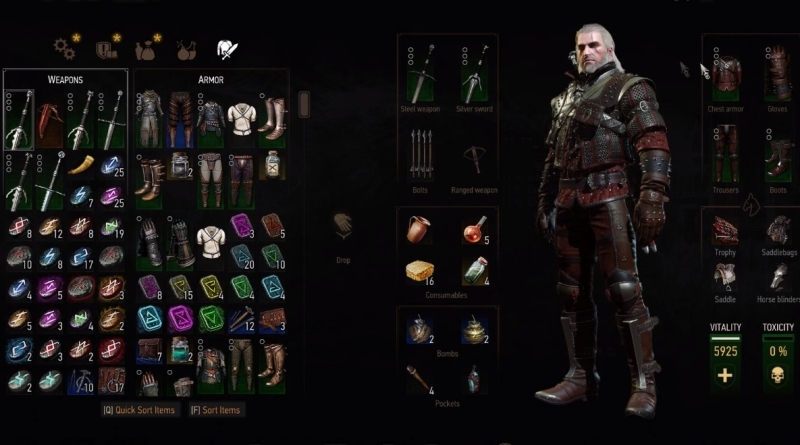 Armor Sets are really a big part of The Witcher 3 Wild Hunt. 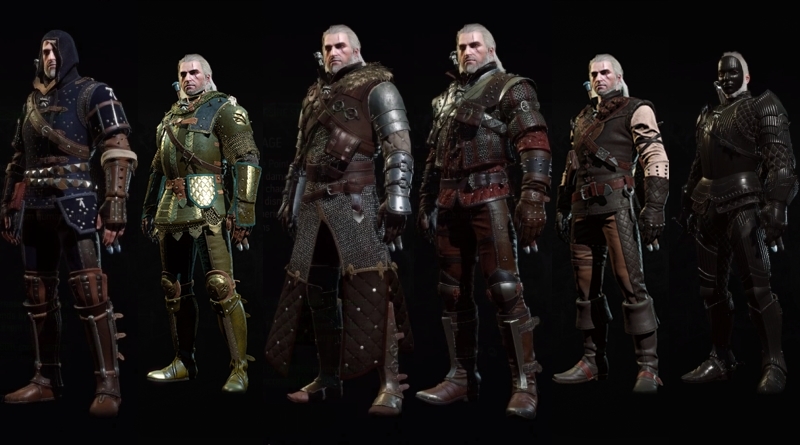 These armor sets protect Geralt of Rivia from Bandits, monsters and other dangerous creatures but they also make him really cool. 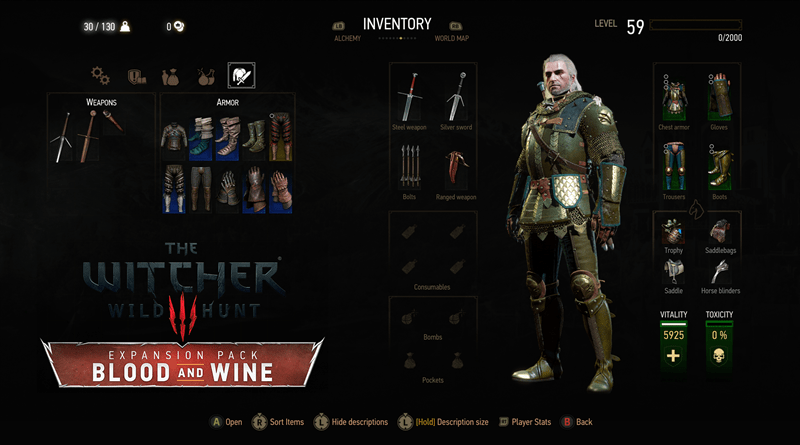 The final expansion pack The Witcher 3 Blood and Wine added some amazing armor sets. The developers at CD Projekt RED said that there are more than 100 individual pieces of different armor sets. 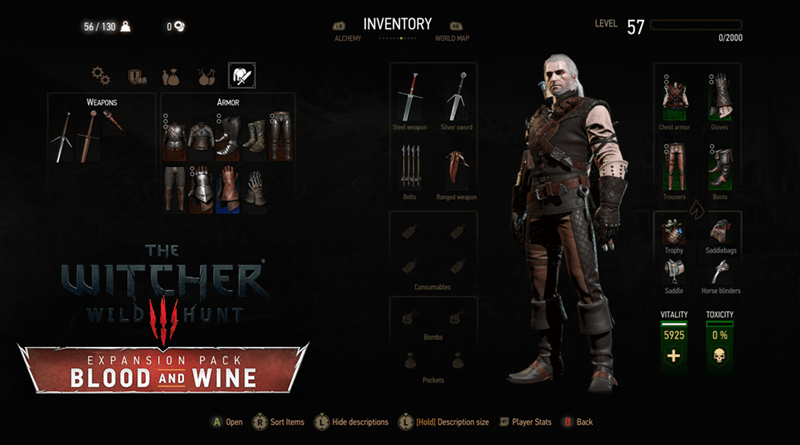 In The Witcher 3 Blood and Wine All Armor Sets guide we will show you all the armor sets that you can find in Blood and Wine, there stats and how they look on Geralt. Following are the armor sets that you can find in the Blood and Wind expansion pack of The Witcher 3 Wild Hunt. Tesham Mutna Armor is totally a new armor in Blood and Wine expansion pack. You can equip this heavy armor at character level 39. If you wear more than 3 pieces of this armor set at a time, it will provide a vampiric aura which allows you an ability to heal yourself by killing different opponents/enemies. Read our The Witcher 3 Blood and Wine Tesham Mutna Armor guide to find all pieces of this armor set. Manticore armor set is really an unexpected one. 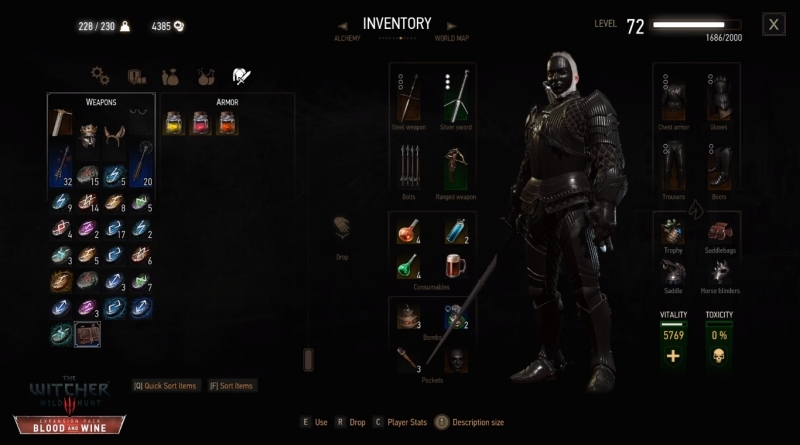 It’s a new medium armor set and a replica of a armor from the first Witcher game. And it comes with every usual pros and cons of that original armor set. 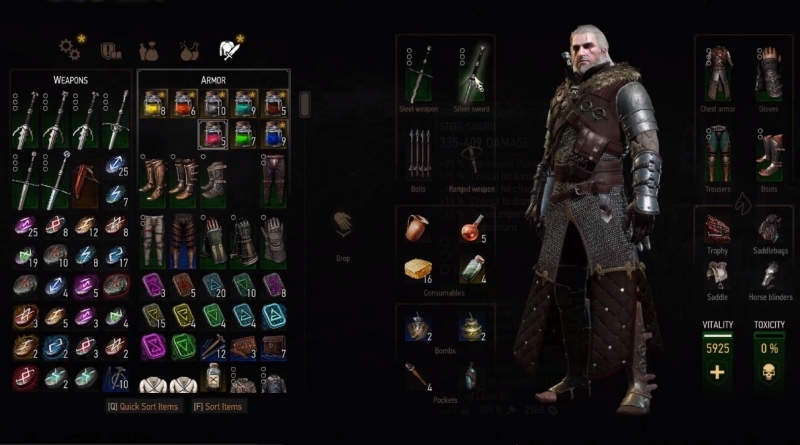 If you want Geralt to look exactly like Geralt from the first game, then wear this armor set. Manticore Armor may not be one of the best armors in terms of providing protection, but nothing can compare it when it comes to scoring huge points. Read our The Witcher 3 Blood and Wine Manticore Armor guide to find all pieces of this armor set. Grandmaster Ursine Bear Gear is a heavy Armor and it has always received great love, but it also has some sadness attached to it. The Grandmaster Ursine Bear Gear armor has a fabled bearskin pauldrons attached to the chest piece, so now you can finally rest knowing that you’ve the most fabulous armor. Read our The Witcher 3 Blood and Wine Grandmaster Ursine Bear Gear guide to find all pieces of this armor set. Grandmaster Feline Cat Armor may remind you about the Cat armor, but this grandmaster version got an interesting addition: a hood! Grandmaster Feline Cat armor is the only armor in the game that has a hood. If you are going for this shadowy hooded look, you’ve got no other choice. Read our The Witcher 3 Blood and Wine Grandmaster Feline Cat Gear guide to find all pieces of this armor set. 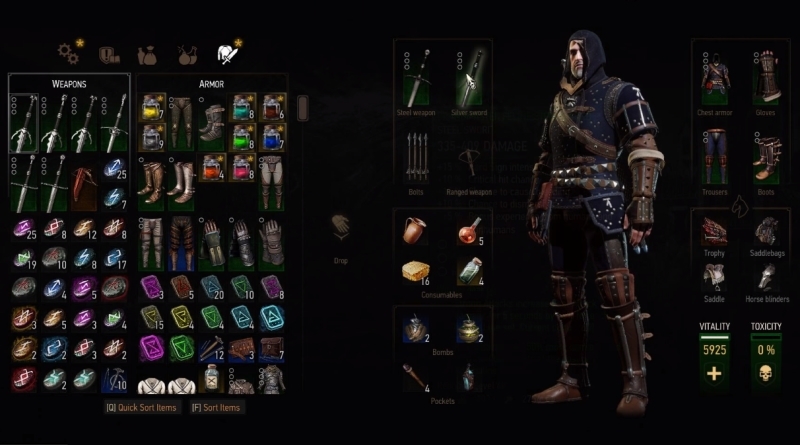 If you were using a Wolven Armor in the main game The Witcher 3 Wild Hunt, you will love to hear that now you can upgrade it to the grandmaster level. It may going to look little bulkier than old version, with different patches and straps all around. Read our The Witcher 3 Blood and Wine Grandmaster Wolf Gear guide to find all pieces of this armor set. If you want to look like a veritable knight, you should wear this Grandmaster Griffin Armor. It’s mix of chain mail and plate, with shining gauntlets and knee pads. This Grandmaster Griffin Armor should make Geralt fit right in with populace of Toussaint. Read our The Witcher 3 Blood and Wine Grandmaster Griffin Armor guide to find all pieces of this armor set.